With it’s latest generation of electrically insulated bearings, SKF has raised the performance standard to provide constant electrical performance, even in high humidity. SKF’s INSOCOAT bearings range – comprises bearings with an electrically insulating coating on the external surfaces of its inner or outer ring, plasma-sprayed with an aluminium oxide coating. The coating, which is naturally hygroscopic, is sealed with a resin to protect against the conductive effects of high humidity and moisture ingress. 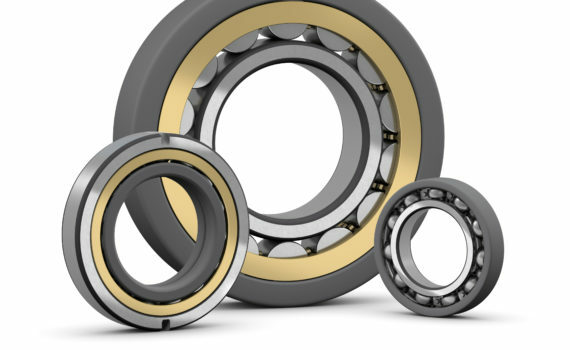 These bearings are specially designed and manufactured for use in rotating electrical machines, such as industrial electric motors, traction motors and generators. They prevent the passage of harmful electrical currents from the rotor to the machine frame via the bearings, which causes progressive electrical erosion of the bearings’ rolling contact surfaces and ultimately premature failure. Following the introduction of an improved plasma spray coating process and optimised ceramic layer, SKF can provide this superior insulating coating as standard and off-the-shelf across its entire INSOCOAT range. INSOCOAT bearings are now able to withstand voltages of 3000V DC sufficient to cope with the vast majority of stray bearing current problems in electrical machines. In addition, the upgraded moisture-resistant coating provides greater protection against humidity storage environments which can compromise a bearing’s insulating properties before it is even placed in service, making INSOCOAT bearings highly robust during transport and handling. Combining both bearing and insulation in a single solution, INSOCOAT protects against electrical erosion at significantly lower total cost of ownership compared with other techniques such as shaft or housing insulation.